YEREVAN, December 10. /TASS/. Armenian citizens are voting for a "revolutionary majority" in the new parliament, acting PM of Armenia Nikol Pashinyan told reporters on Monday. "The citizens of our country are voting for a revolutionary majority, and they are doing it in a calm environment. The elections are clear and transparent. And we have to get used to the fact that since now, there will be no incidents during the elections. Times of turbulent elections are behind us," he said. 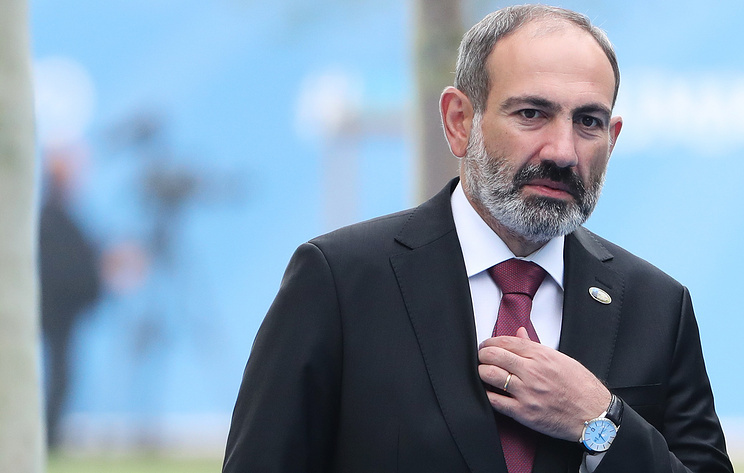 Pashinyan noted that so far, Armenia’s former leading party, the Republican Party, has not received enough votes to hold any parliamentary seats. "If there had been transparent elections in Armenia in the last 18 years, then the Republican Party of Armenia would barely get the passing percent. We have said it repeatedly, and now we see the results with our own eyes," the acting PM stated. Pashinyan added that so far, this is not the ultimate victory of the revolution, as "not all goals have been reached." The next step is to create an economically stable country, the acting Armenian PM said. On December 9, snap elections to the Armenian parliament took place. So far, Pashinyan’s bloc, My Step, has taken a definitive lead with over 70% of the vote. A party needs to score at least five percent of the vote, while a bloc is required to have at least seven percent to win seats in the national legislature. According to official data, more than 2.5 mln citizens across the country are eligible to vote. The Armenian law does not stipulate any voter turnout threshold and the election will be recognized as valid even if the figure is low. Earlier, the Central Election Commission reported that by 17:00 local time, the voter turnout exceeded 39%. Journalists from 70 local and 32 foreign media outlets, including from Russia, covered the election. Observers from eight international and 22 local organizations monitored the vote. Among them were the Office for Democratic Institutions and Human Rights (ODIHR) of the Organization for Security and Cooperation in Europe, which has more than 250 observers, and another 80 of its members are part of the Commonwealth of Independent States (CIS) Election Observer Mission.